The government will make £15 million of new funding available to provide healthcare alternatives for people who would currently be detained in police cells under the Mental Health Act. Speaking at the Police Federation conference in Bournemouth on Wednesday, Home Secretary Theresa May is expected to say the funds will be directed to create “places of safety” for the 4,000 mentally ill people each year who end up in police custody. Under current legislation, people with mental health problems can be held in police custody for up to 72 hours. 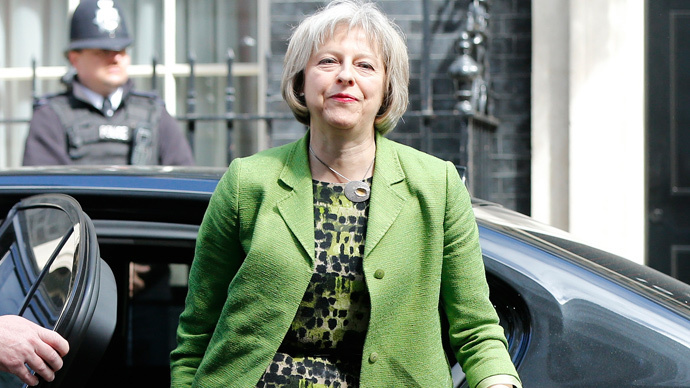 May will also outline new policing measures to prevent the detention of children with mental health issues. She will argue that the measures will protect the most vulnerable and are likely to affect at least 150 children each year who are detained due to a lack of viable NHS alternatives. “Nobody wins when the police are sent to look after people suffering from mental health problems; vulnerable people don’t get the care they need and deserve, and the police can’t get on with the job they are trained to do,” the Home Secretary will say. “Last year, over 4,000 people detained under section 135 and 136 of the Mental Health Act were held in a police cell rather than in a health-based place of safety. “The government will provide the bed and the funding that is needed to stop that happening. This will mean up to £15 million of new funding to deliver health-based places of safety in England and a guarantee from this government that no person with mental health problems will be detained by the police due to the lack of a suitable alternative," she will add. May will also stress those who suffer from mental health crises deserve a bed, not a police cell. The new policing and sentencing bill is further expected to include a manifesto pledge to enforce “sharp, short spells in custody” for repeat offenders to attempt to trigger a change in behavior. According to the latest figures, of the 21,996 people sanctioned under the Mental Health Act, some 20 percent were detained in police cells. The police also estimate that between 20 and 40 percent of their time is spent dealing with people with mental health problems. The new measures are also expected to include a clause, which states that police cells should be used to ensure an individual is safe if their behavior is unpredictable and extreme.